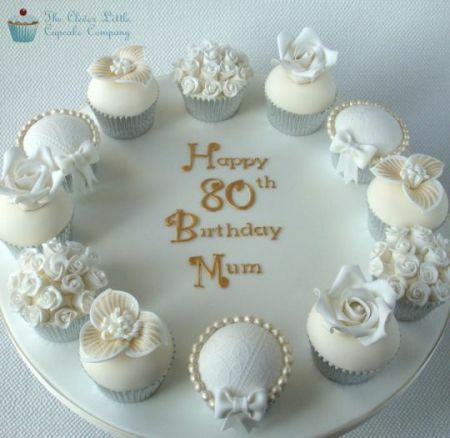 80th birthday cupcakes have become one of the hottest trends today. Move over cake--time for an individual, personalized temptation. 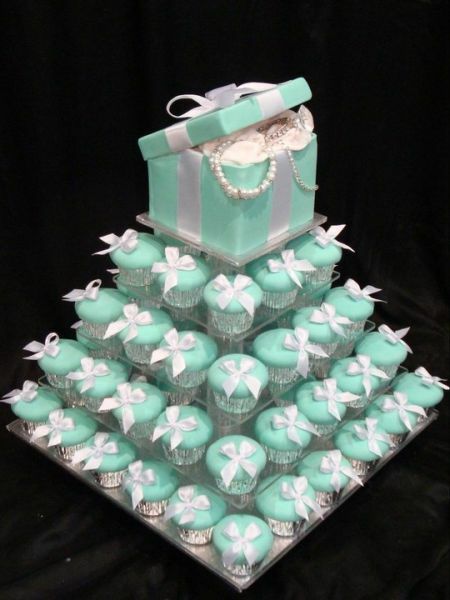 Easy to eat, cupcakes are little pieces of art that can easily be customized to coordinate with any theme. From delicious flavors to stylish colors, it only seems appropriate that the cupcakes and the display should be full of sweet details. Enjoying a recent surge in popularity, cupcakes have been around for ages. Even the beginning baker will find joy in cupcakes. Not as complicated as a layer cake, it's a good place to start to please adults and children alike. 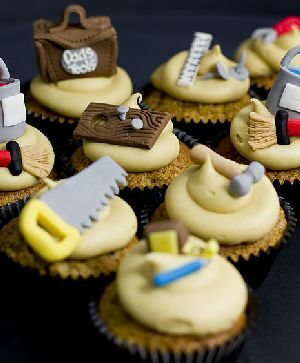 For the true handyman's birthday. What better way to celebrate than with these manly cupcakes. From saws to hammers, these treats are tailored just for him. Say it with flowers. 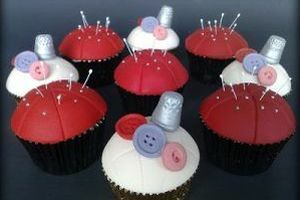 With a little imagination, just about anything can become cupcakes. 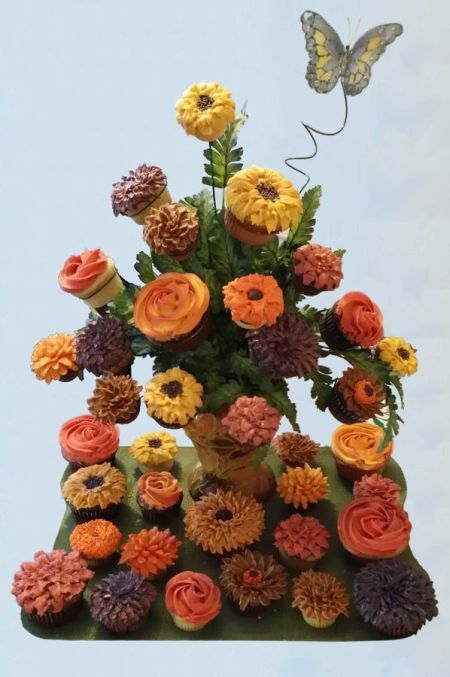 A fanfare of colors and brilliant blooms, or should we say cupcakes, mimics the beauty of a country garden. 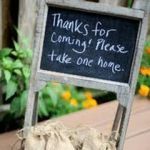 Your guests will not know whether to pick them or eat them. 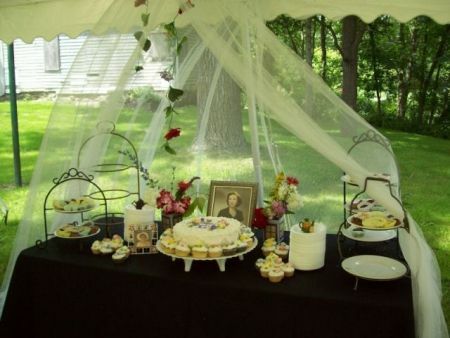 Take a classic approach to a sweet celebration with a cheery color scheme of yellow and white. 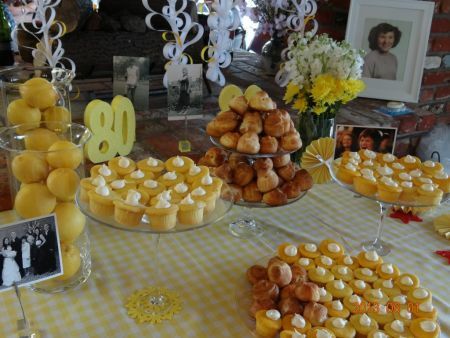 Notice how the varied heights, sizes, and 80th birthday influences shine through in this easy, pleasant tablescape. Number themed cupcake cake. The look of a birthday cake with the ease of individual servings. Eighty is a perfect time to reflect, recollect, and look to the past for inspiration. This outdoor table setting is a great opportunity to push the party outside and present a charming vintage feel. There is something so appealing about candlelight. 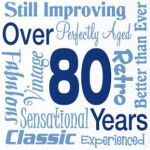 Eighty is in full swing here with pictures that are a throwback from the past and individual treats just for the taking. Variety is the spice of life that offers an escape from the usual. We love the lively use of color that adds to the visual excitement of this display. 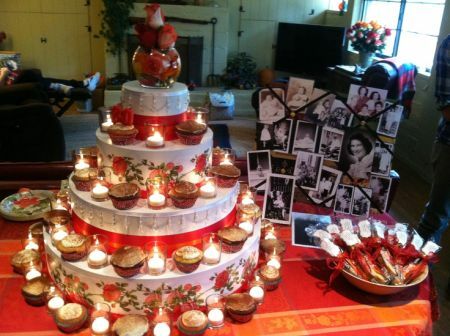 And the icing on the cake is that it also serves as part of the party decor. Flower power fun. 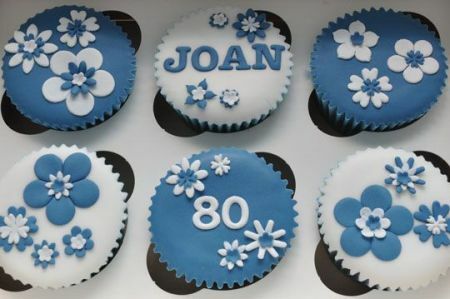 The blue and white fondant flowers are the perfect addition to these cupcakes adding a feminine flair to the 80th birthday cupcakes. 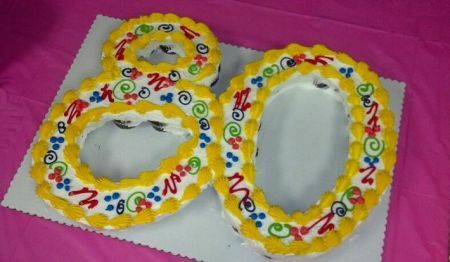 80th birthday cupcakes that reflect the theme is a sweet idea. Just having a few flowers on the table is enough to make the most of a special occasion. Knit one purl two. 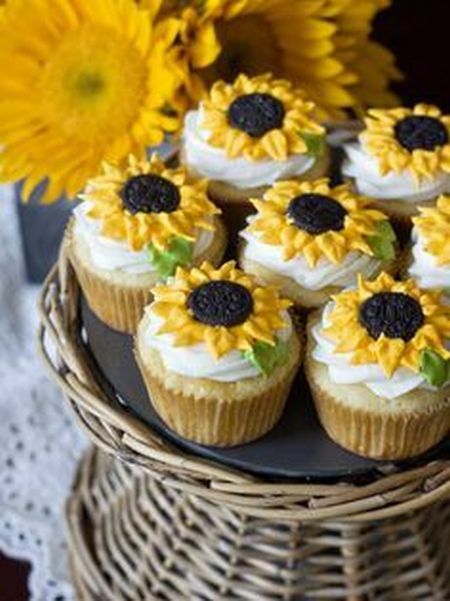 A favorite hobby of the Honoree is a great way to choose the style of cupcake to serve. Your guests will be in stitches over these. 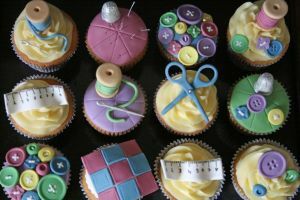 Sew many cupcakes. . . 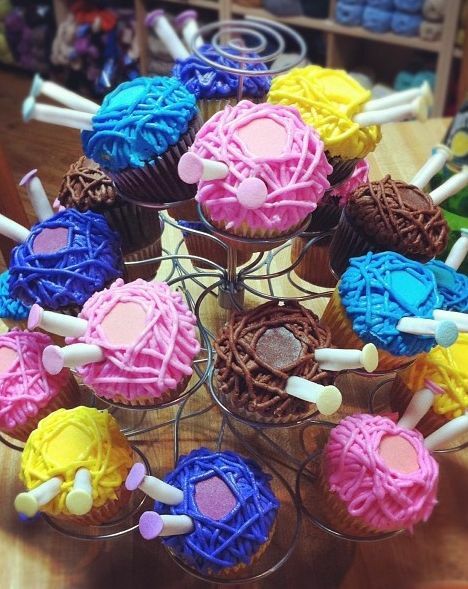 This fun decorative idea uses store bought cupcakes served in a homemade cupcake holder. 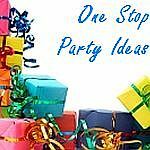 If you want a no-fuss party idea, this is a great one to start with. Wonderfully white. 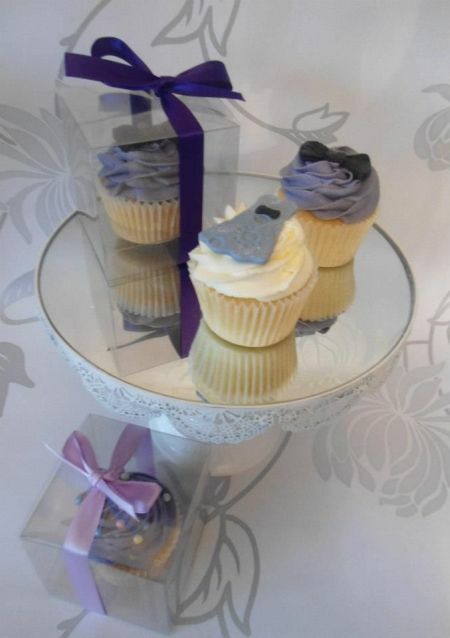 These cupcakes have a hint of formality, just enough to make them exquisite. Your guests will feel like they are in heaven. 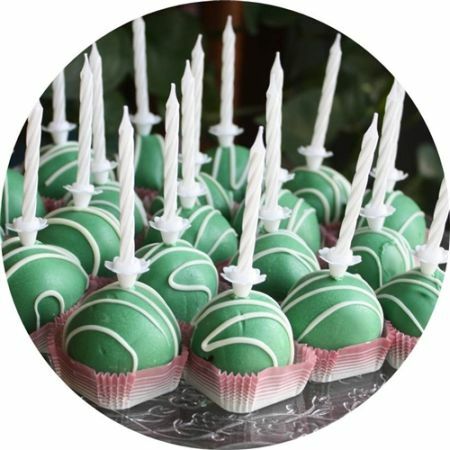 If you are looking for a fresh approach to individual treats, consider these candle cake balls. You can customize the flavor, coating, and still have all the convenience of cupcakes. We love this festive, unique presentation of a new piece of cake. 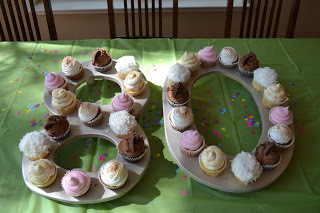 The skinny on 80th birthday cupcakes. . . 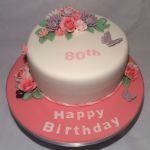 Lemon, red velvet or strawberry flavors are popular cake choices. But since this is an individual treat, you can mix it up and choose several different flavors so everyone enjoys their personal favorite. And for those who believe if it ain't broke don't' fix it, play it safe with classic chocolate and vanilla flavors. Try something different, and take advantage of adding a yummy filling for a surprise treat. It's about mixing the old with the new. Pipe vanilla pudding or any flavor of sweet mixture into the center of Grandma's tried and true cake for a new spin on an old favorite. Who say's you can't please everybody? Add some flair to the traditional yellow cupcake with different flavors of frosting. Chocolate, strawberry, lemon, cream cheese . . . the list goes on and on. Tickle everyone's taste buds with a variety of flavors. 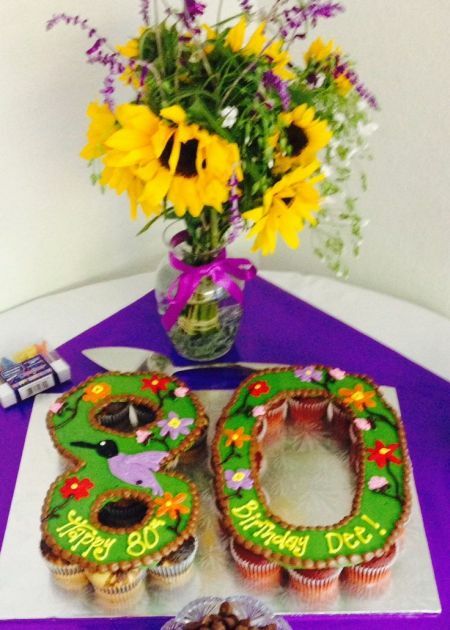 It's those little details that incorporate 80th birthday party ideas into the food presentation. Choose cupcake liners that carry the theme of the party or complete the color scheme. The cupcake liner is always noticed, so make yours special. Never before have there been so many options to show off this individual treat. Serve your delicious delicacies from creative cupcake stands. 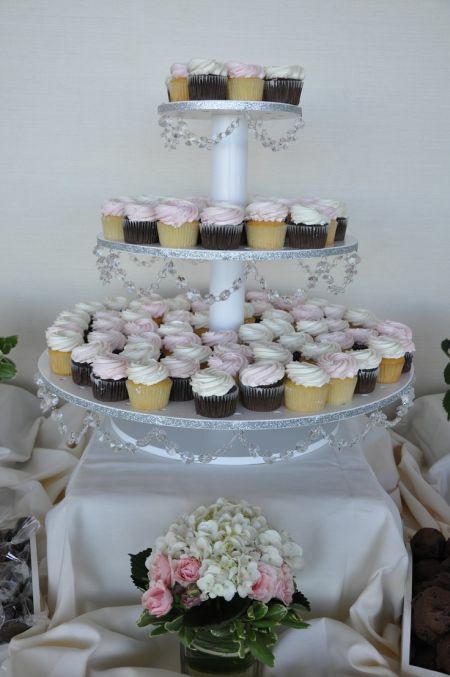 Convenient and easy to use, cupcake stands have become a way to have your cake and eat it too. 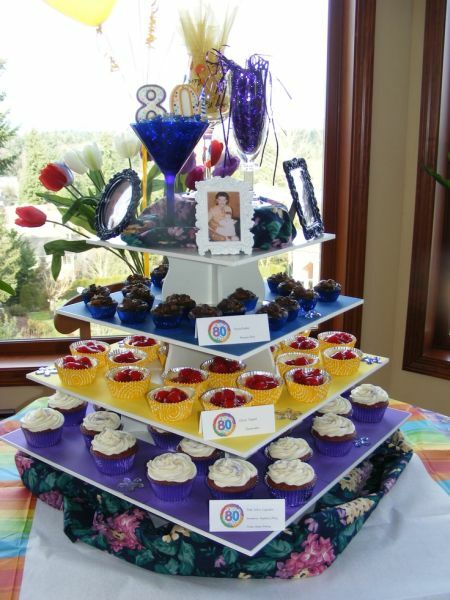 These stands are so attractive filled with 80th birthday cupcakes that they often become the centerpiece of the table. Add more than one stand along the table for an even bigger cupcake statement.